A Complete Elementor Compatible WordPress Theme. Sparker is a simple and easy to use, modern and creative, user-friendly and elegant, WordPress theme for blog, news and magazine sites. It is responsive, cross-browser compatible, SEO friendly theme with lots of highly created features. 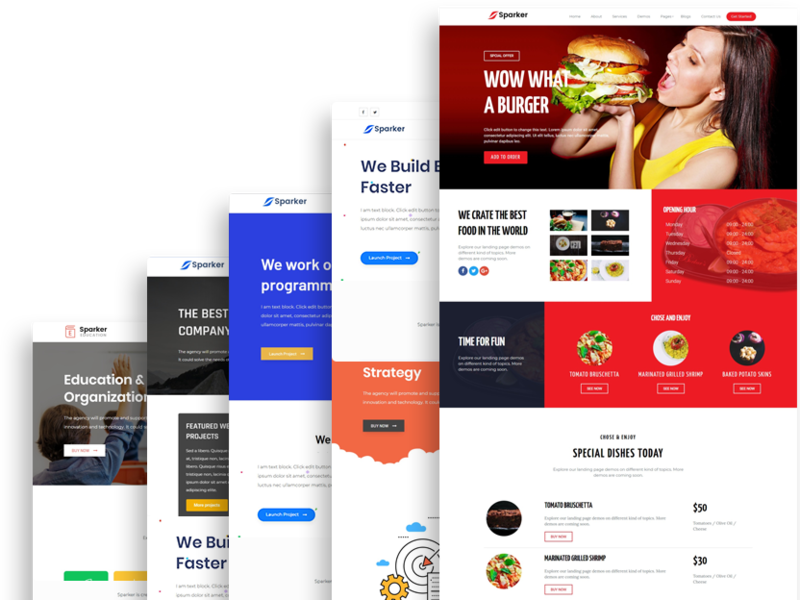 The theme comes with beautiful slider section, featured post column, footer options, sidebar options, site design options and many more. It is very light weighted theme based on customizer. Added custom widgets for author information and advertisement will make your site awesome. Try Sparker today and blog away. Our dedicated support team will guide you in every step while using the theme. You need to choose the Best WordPress Hosting for a better experience. Unique Page, single page & post design. The Theme is fully Bootstrap compatible.